Alice Cooper says he’s juggling two album projects this year: a new solo record and the follow-up to The Hollywood Vampires' 2015 debut. 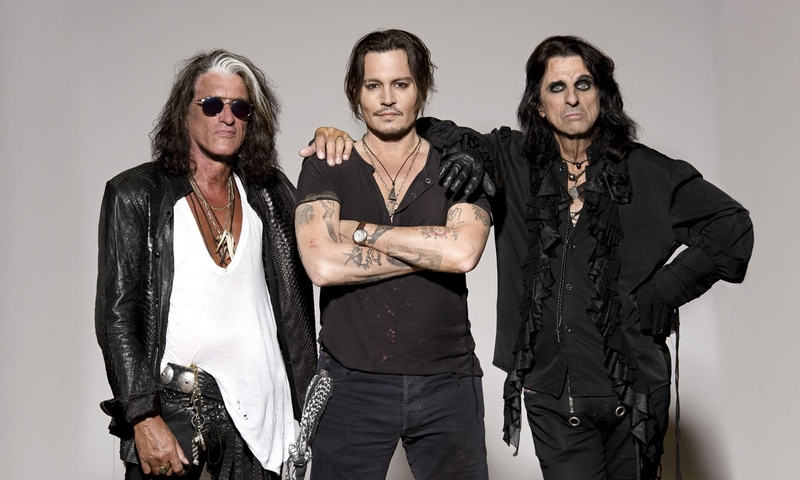 The supergroup with Johnny Depp and Aerosmith’s Joe Perry performed their new single, “As Bad As I Am”, at the Grammy Awards on Monday as well as paying a musical tribute to Motorhead mainman Lemmy Kilmister. “As Bad As I Am” is one of three bonus tracks featured on the just-released deluxe edition of the band’s 2015 self-titled debut, which delivers covers of classic tunes by Jimi Hendrix, Led Zeppelin, The Who, The Doors and more. The band’s live lineup includes Duff McKagan, Matt Sorum, Tommy Henriksen and Bruce Witkin. As for his upcoming solo album, Cooper reveals that in addition to featuring some of his current backing group, it will include some tunes he’s co-written with the other surviving members of the original Alice Cooper band. “[Drummer] Neal [Smith] and [guitarist] Mike [Bruce] and I just wrote two or three songs. [Bassist] Dennis [Dunaway] and I wrote some songs together,” he says. “When we broke up [in 1974], we broke up as friends. We never broke up as enemies. Alice hits the road for solo dates starting April 29 show in Biloxi, Mississippi, while Hollywood Vampires have just announced a May 24 date in Verona, New York.